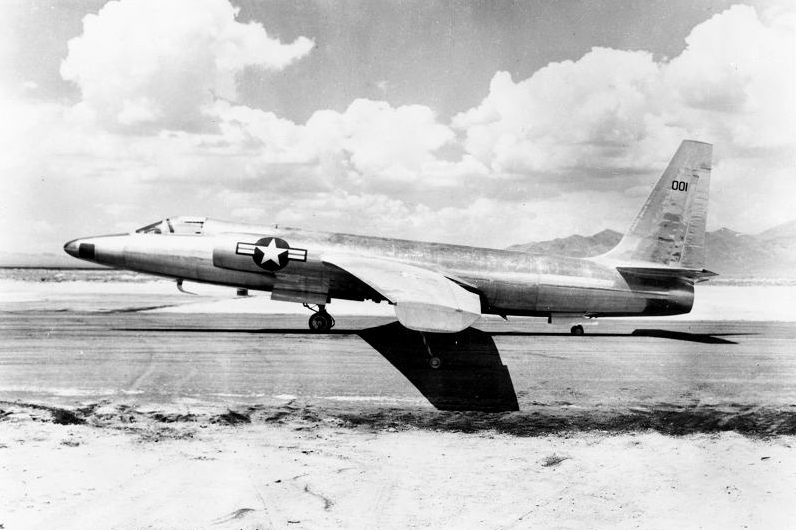 1 August 1955: Test pilot Anthony W. LeVier made the first flight flight of the Lockheed U-2 high-altitude reconnaissance airplane at Groom Lake, Nevada. LeVier was conducting taxi tests in preparation for the planned first flight a few days away, when at 70 knots the U-2 unexpectedly became airborne. 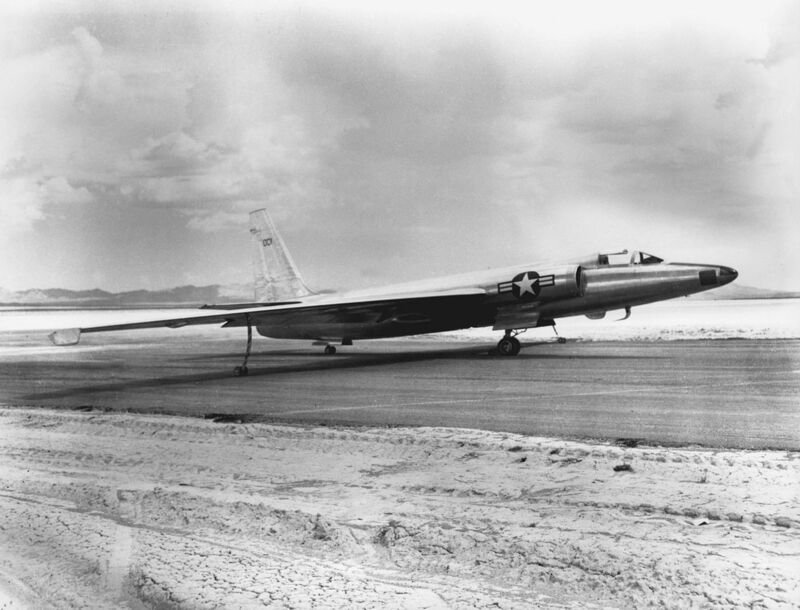 On touching down on the dry lake, the U-2’s tires blew out and the brakes caught fire. A landing gear oleostrut was leaking. Damage was minor and the airplane was soon ready to fly. Tony LeVier was again in the cockpit for the first actual test flight on 4 August. The Lockheed U-2A is a single-place, single-engine aircraft powered by a turbojet engine, intended for very high altitude photographic reconnaissance. Thirty U-2A aircraft were designed and built for the Central Intelligence Agency by Lockheed Aircraft Corporation’s secret “Skunk Works” under the supervision of Clarence L. “Kelly” Johnson. The company designation for the proposed aircraft was CL-282. Its fuselage was very similar to the XF-104 Starfighter and could be built using the same tooling. The reconnaissance airplane was produced under the code name Operation AQUATONE. The U-2A was 46 feet, 6 inches (14.173 meters) long with a wingspan of 80 feet (24.384 meters). Its empty weight was 10,700 pounds (5,307 kilograms) and the gross weight was 16,000 pounds (7,257 kilograms). The engine was a Pratt and Whitney J57-P-37A which produced 10,200 pounds of thrust. This gave the U-2A a maximum speed of 528 miles per hour (850 kilometers per hour) and a ceiling of 85,000 feet (25,908 meters). It had a range of 2,200 miles (3,541 kilometers). Because of the very high altitudes that the U-2 was flown, the pilot had to wear a David Clark Co. MC-3 partial-pressure suit with an International Latex Corporation MA-2 helmet and faceplate. The partial-pressure suit used a system of capstans and air bladders to apply pressure to the body as a substitute for a loss of atmospheric pressure. Each suit was custom-tailored for the individual pilot. On 4 April 1957, Article 341 was flown by Lockheed test pilot Robert Sieker. At 72,000 feet (21,946 meters) the engine flamed out and the cockpit pressurization failed. Parts of the U-2 had been coated with a plastic material designed to absorb radar pulses to provide a “stealth” capability. However, this material acted as insulation, trapping heat from the engine inside the fuselage. This lead to a number of engine flameouts. Sieker’s partial-pressure suit inflated, but the helmet’s faceplate did not properly seal. 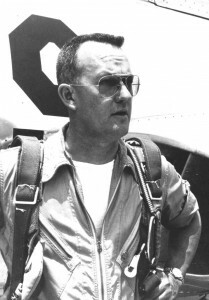 He lost conciousness and at 65,000 feet (19,812 meters) the U-2 stalled, then entered a flat spin. Sieker eventually regained consciousness at lower altitude and bailed out. He was struck by the airplane’s tail and was killed. The first U-2 crashed northwest of Pioche, Nevada, and caught fire. Robert Sieker’s body was found approximately 200 feet (61 meters) away. Because of the slow rate of descent of the airplane while in a flat spin, the impact was not severe. Portions of Article 341 that were not damaged by fire were salvaged by Lockheed and used to produce another airframe.